Carpets are produced in batches – known as creels – and usually each batch produces between 500m2 – 3000m2 in a single width, depending on the creel size. Whilst the recipe used by the dyer remains constant, and is followed to the letter, in each separate production the colour reproduction will vary from batch to batch. However production is matched back to the original or master sample to ensure that the colour remains ‘within a commercial tolerance’. This process if not an exact science and a commercial tolerance is subjective but nevertheless is usually the professional judgement of the head dyer based on his/her experience. N.B. Carpets which are laid with the pile travelling in different directions, even though they be from the same batch will appear not to match. For further information please check with the manufacturers recommendations. All cut pile carpets will lose short fibre, which is created during production when spun yarn is cut for tuft formation. These fibres fall onto the surface of the pile and appear as ‘fluff’. 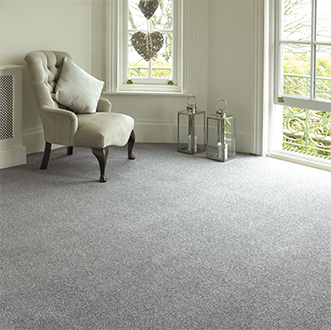 The effect varies with yarn type and may be removed without detrimental effect upon the carpet by vacuum cleaning. This excess fibre is only a small fraction of the total fibre contained in the carpet. Carpets do not produce static but like other household fabrics and objects have the capacity to store it. Static is caused by the build up of static electricity upon personnel in a dry environment and is discharged when a person makes contact with an object which can conduct electricity (i.e. door handle or filing cabinets, etc). The static charges will vary in intensity depending upon the individual, air humidity and the contact materials. Static is more usually associated with synthetic materials as they do not retain moisture very well but it can and does occur with wool in very dry room conditions. 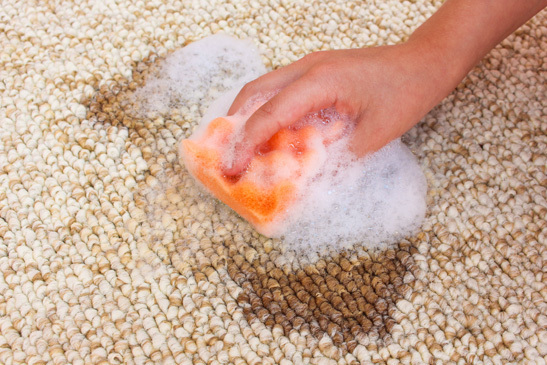 Preventative measures include the introduction of moisture into the room or in situ carpet treatment. Carpets made from wool can and do fade in use. The degree of fade can vary depending on the colour chosen and the local conditions to which the carpet is subjected. Fading can be caused by exposure to ultra violet light which is found in daylight, but is accelerated when sunlight shines directly onto the carpet. This has the effect of lightening or “Bleaching” the colour just as exposure to sunlight will lighten human hair. Wool is after all animal hair. 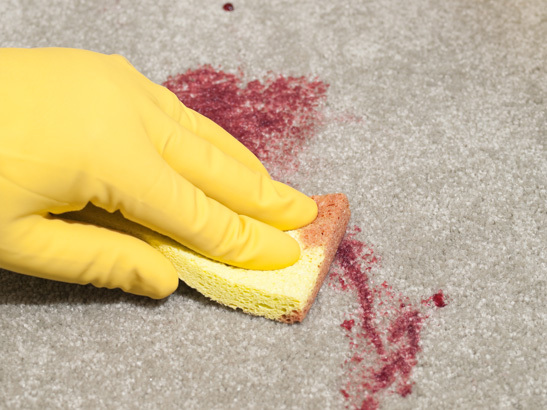 Protection should be given to carpets exposed to such conditions just as you would protect other furniture or fabrics. A complaint on fading would be considered justified if it failed to meet the required shade standard when tested to the British Standard BS1006 (1990). Like shading, this occurs when the pile or nap of the carpet changes direction and thus reflects light at different angles showing the effects of shading which can become permanent. It is also described as ‘watermarking’. This can happen to every carpet construction be it Axminster, Wilton, Tufted, Hand Woven, Persian, Chinese, Indian or even Coir Matting. Like shading it can be more apparent on plain carpet because heavy patterns can disguise the effects. It can occur quite quickly after installation. A tremendous amount of research has been carried out over many years by many institutes to determine the cause of this phenomenon but none of it has proved conclusive. There is no commonly known manufacturing process which can cause or cure this phenomenon and therefore it is not a manufacturing fault. For further information please check with individual manufacturers recommendations. When a carpet is subjected to a heavy point load, such as under the legs of furniture, it is unreasonable to expect the carpet not to indent. 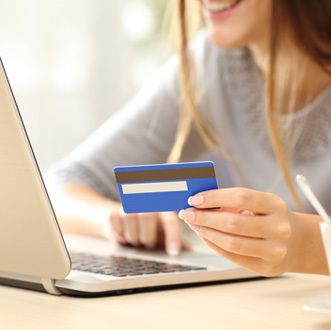 Usually, the longer the load is in place, the longer will be the time for the pile to recover. In the case of very heavy loads in place for a considerable time, the recovery time can be very considerable. It must be remembered that it is not only the pile of the carpet that becomes indented. 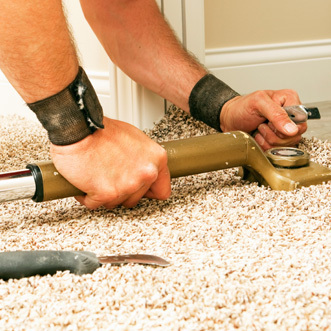 the underlay will also indent and the backing of the carpet may also distort into the indentation in the underlay. Some underlay’s will recover well and some less well depending upon their composition, thickness, density etc. The ability of a carpet to recover from a heavy static load can be measured in the laboratory, using the test method described in BS 4939 and many manufacturers will have data on this aspect of carpet performance. In this test the carpet is loaded for 24 hours and the degree of recovery is measured after 1 hour and 24 hours. Since there are so many different underlay’s however, it is very rare for the recovery from a heavy static load to be evaluated on carpet and underlay. Often normal maintenance (vacuum cleaning with a rotating brush machine) will speed up recovery but in the case of serious indentations the use of an iron and damp cloth or a steam iron together with a blunt darning needle to carefully tease up the pile can be beneficial. Care must be take not to over wet the carpet, of course. Shampoo – if incorrectly applied, can leave sticky soap residues in the fibres which can result in the soiling reappearing quite rapidly. Dust – which is carried on draughts can soil carpets in various ways, apart from the obvious soiled edges, at gaping skirting boards for instance, dark lines appearing on surface might suggest airborne dust vacuum-drawn through poorly fitted floorboards. Sometimes the shape of floorboards can be seen quite clearly. Air borne dust sometimes shows itself as spots on the carpet, this is due to the air carried on a draught under the carpet escaping through minute holes both in the underlay and the carpet, leaving dust deposited on the pile much like a filter action. In such installations, the use of a lining paper is essential as a preventative measure.